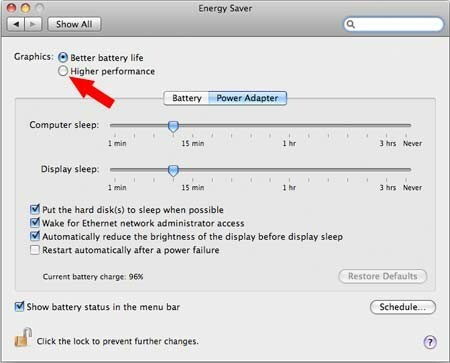 Most MacBooks and MacBook Pros (15-inch and 17-inch) include two graphics options within the System Preferences' Energy Saver. The default setting "Better Battery Life" is fine for situations where graphic-intensive applications are not being used. The "Higher Performance" setting uses the dedicated graphics card which is recommended when using Serato Video or other heavy graphics processing applications. 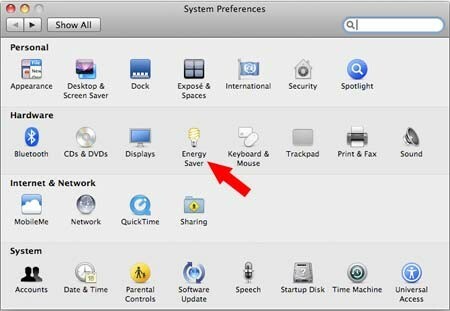 If you're having stutter, lag or performance issues with Serato Video or your Serato software, follow the below instructions to adjust the graphics performance of your MacBook or MacBook Pro. 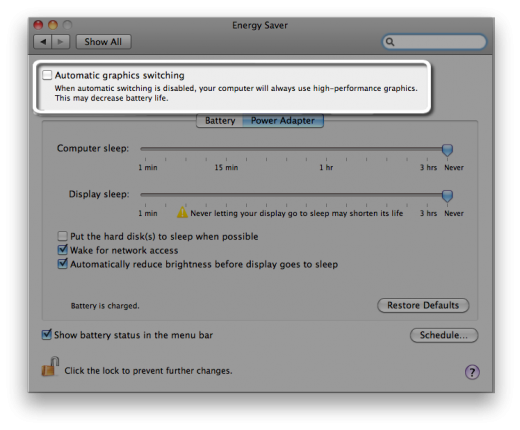 The MacBook Pro include a feature in the Energy Saver System Preferences pane for adjusting graphics performance. "Automatic graphics switching" is enabled by default to allow your computer to automatically switch to the best graphics system for the application running. Turn off this option to use the higher-performance graphics processor at all times (see below pic). Once this option is disabled, no log out is required. Once prompted, click Log Out to Change Graphics Settings. 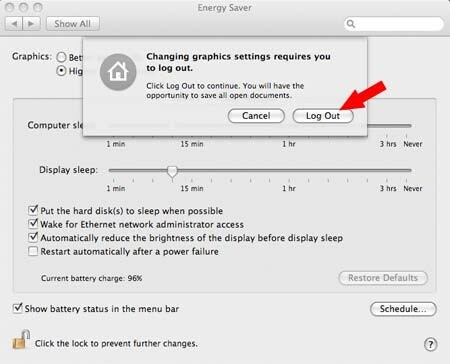 When choosing a different graphics setting, OS X requires a log out for the new settings to take effect.